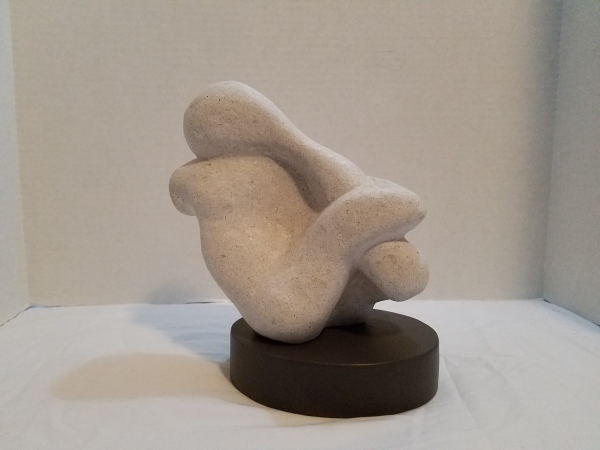 I think in three dimensions, and am never really comfortable unless I’m making something tangible. 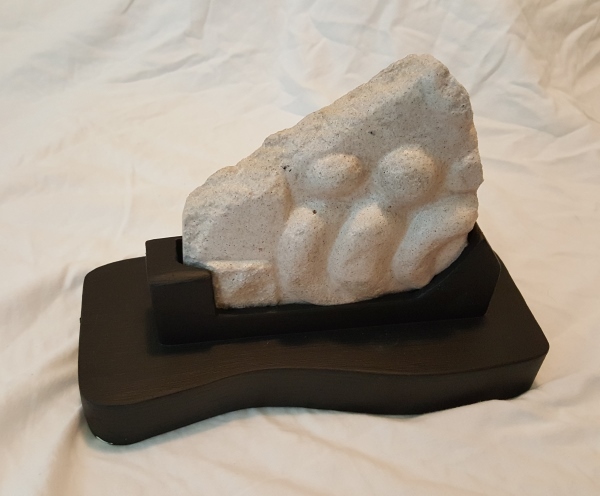 Even my two-dimensional works are sculptural in nature. 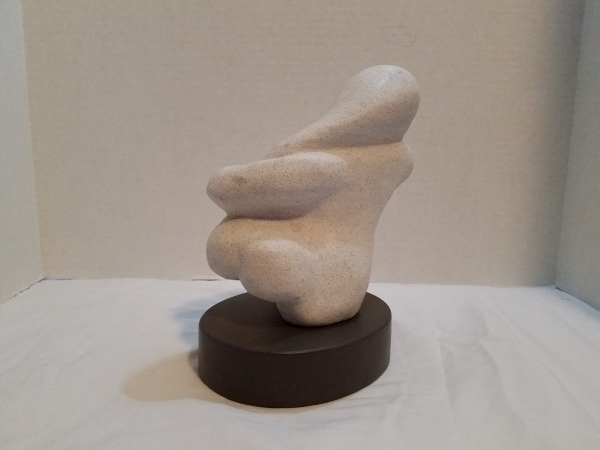 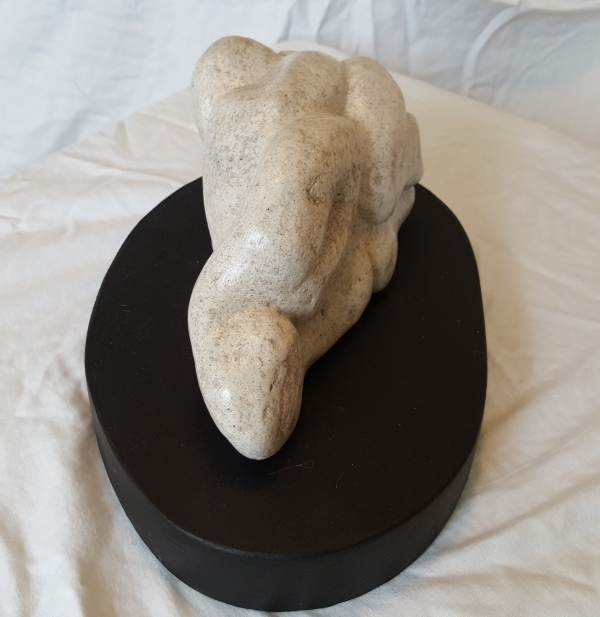 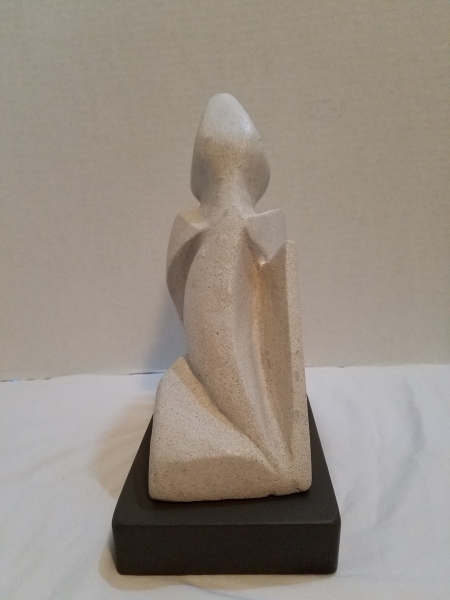 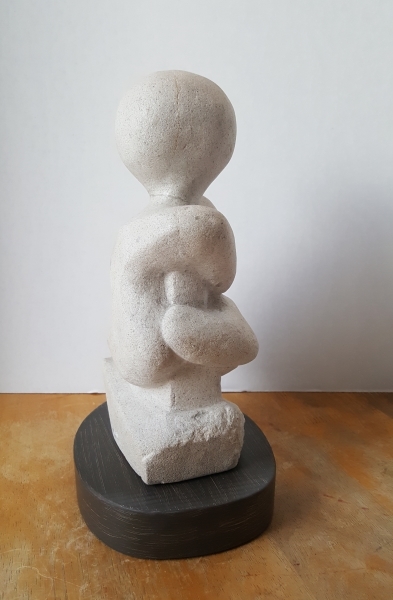 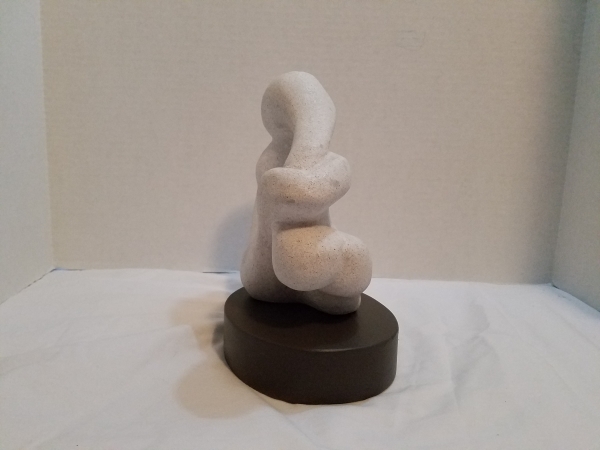 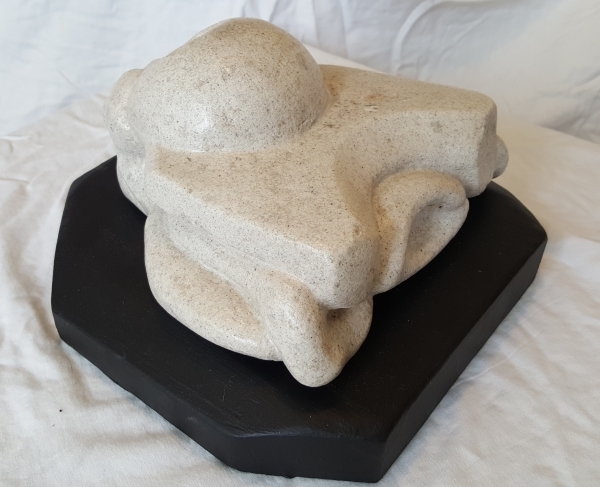 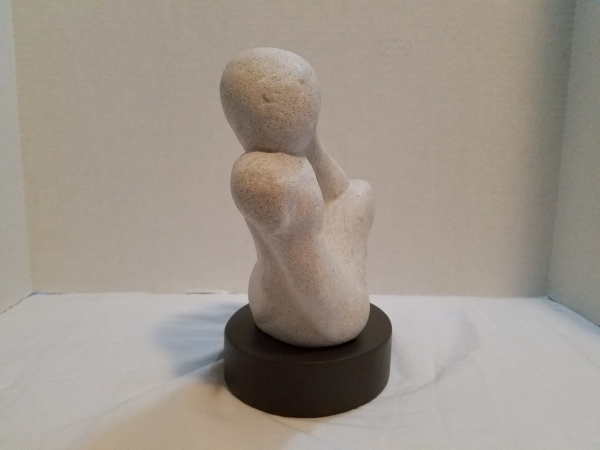 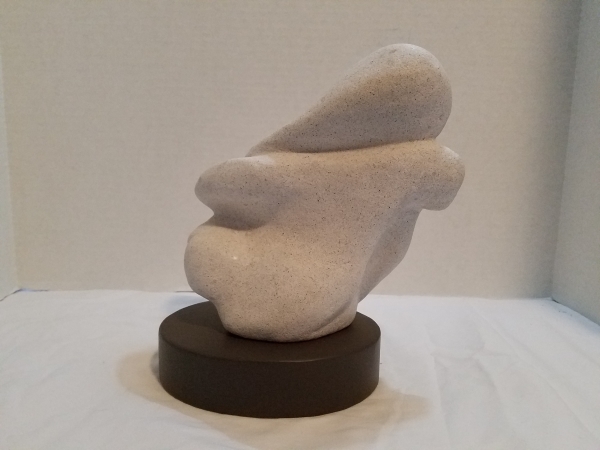 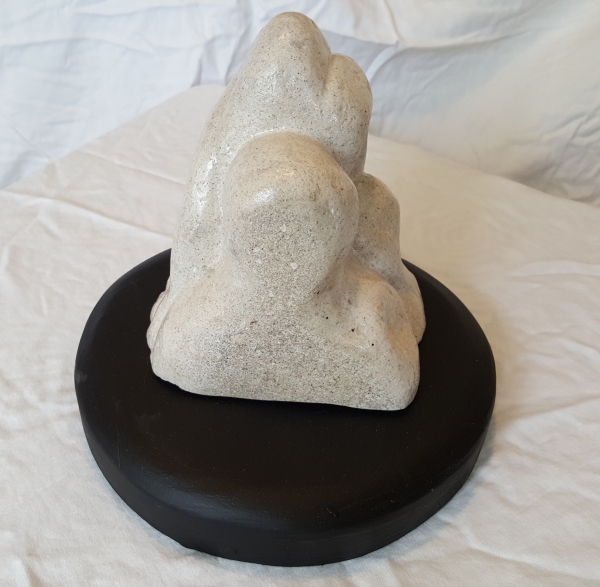 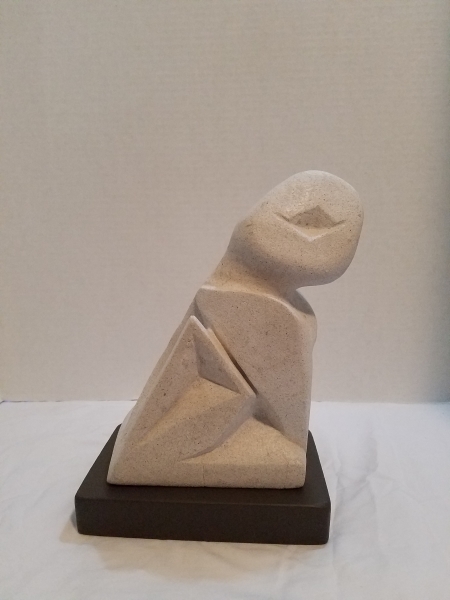 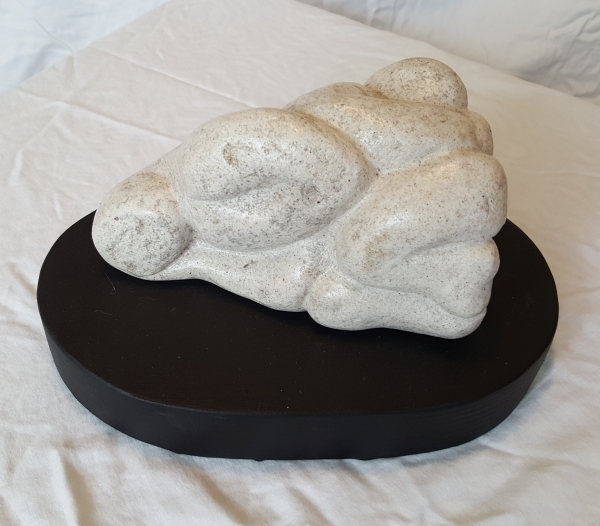 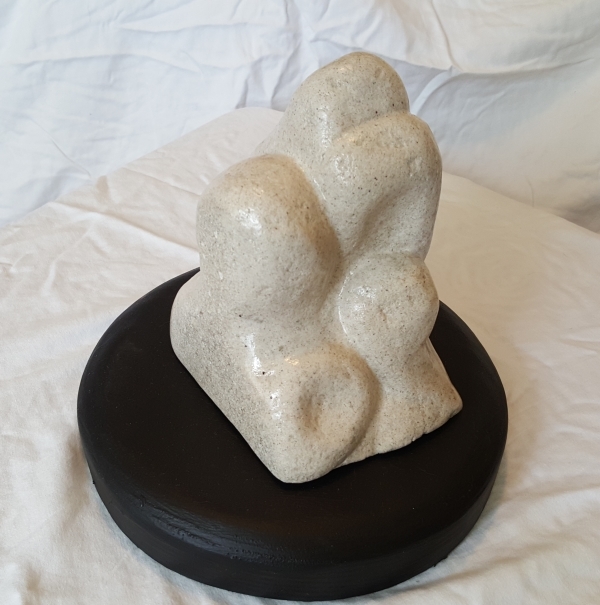 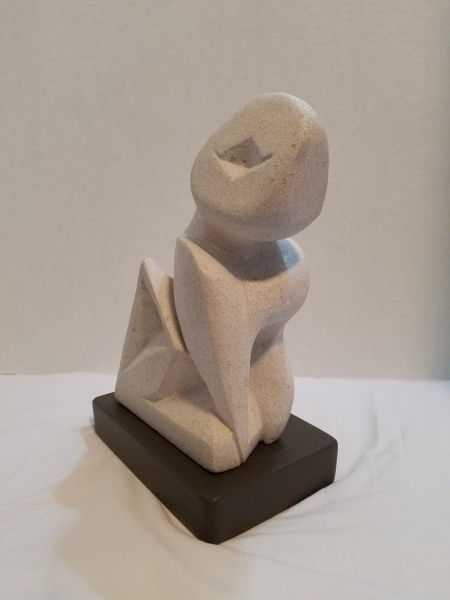 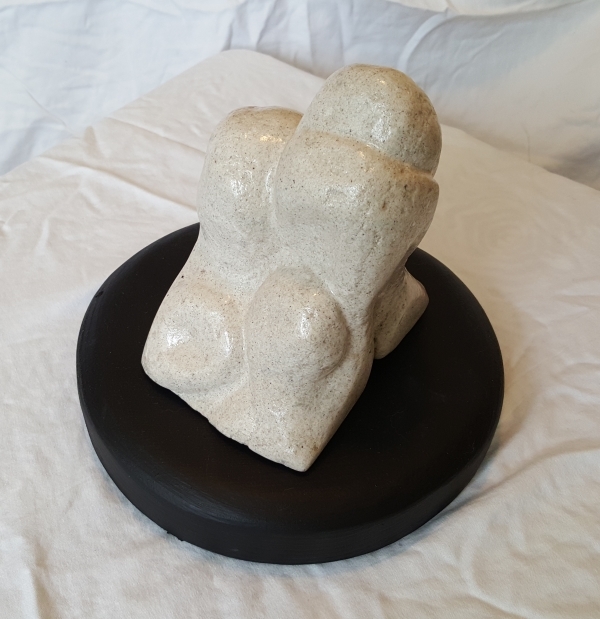 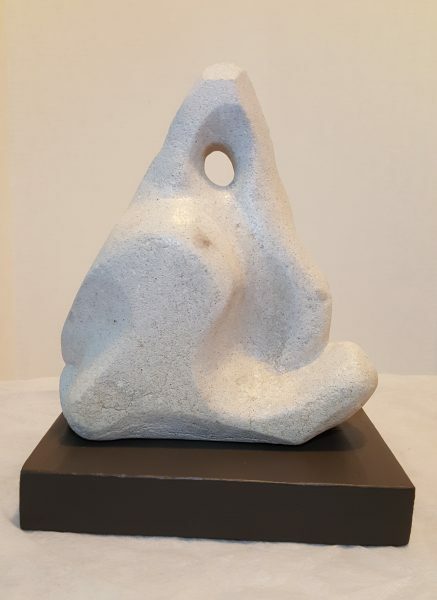 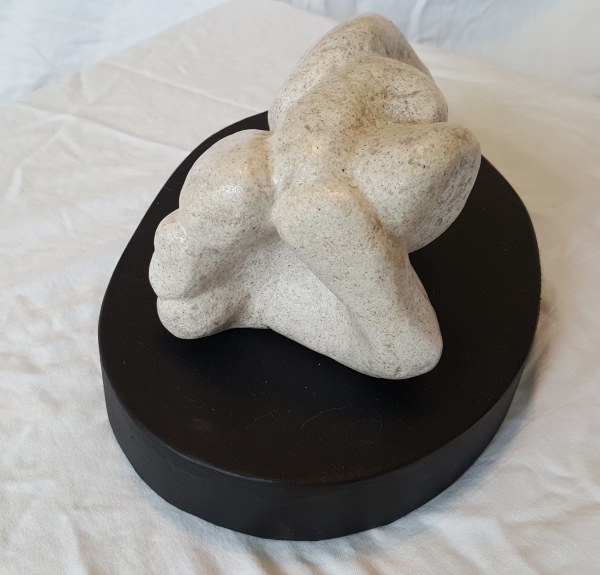 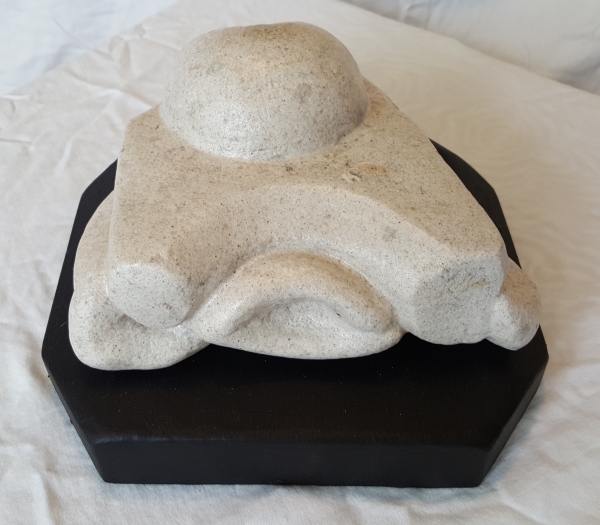 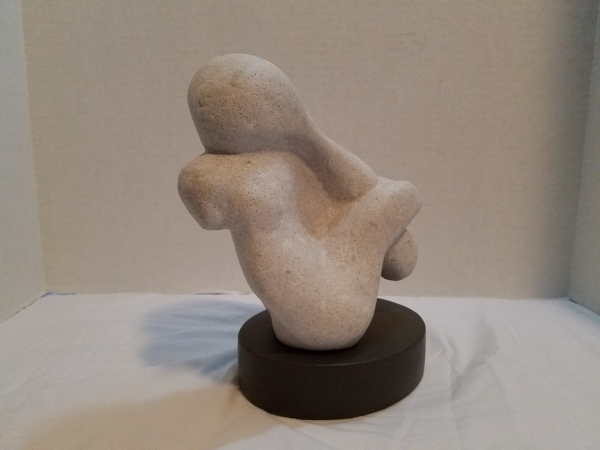 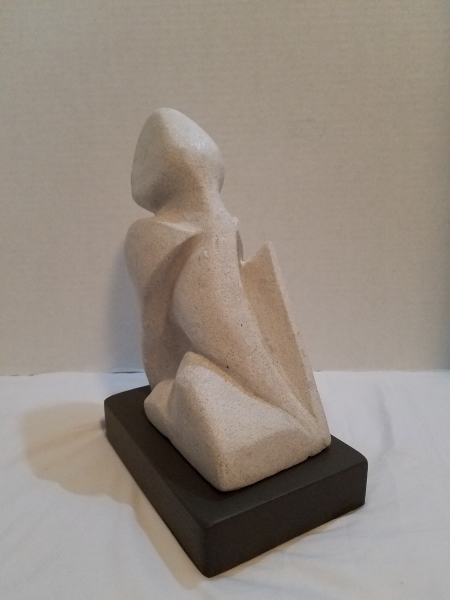 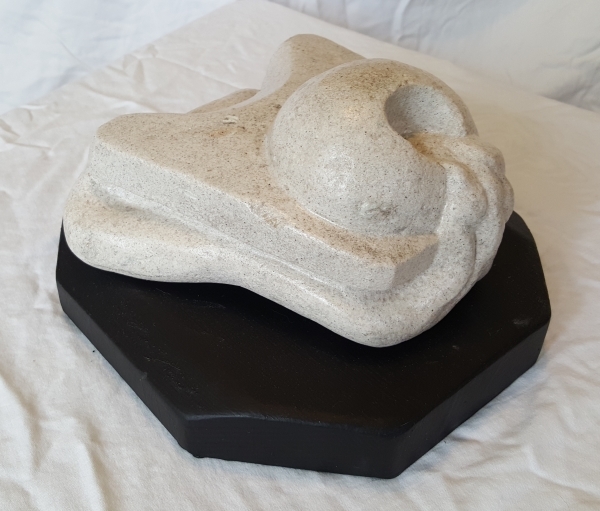 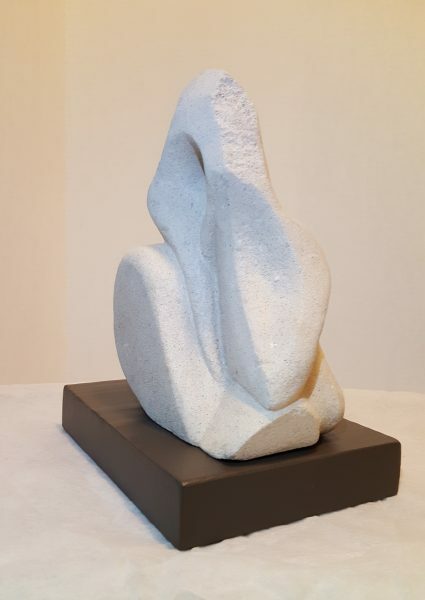 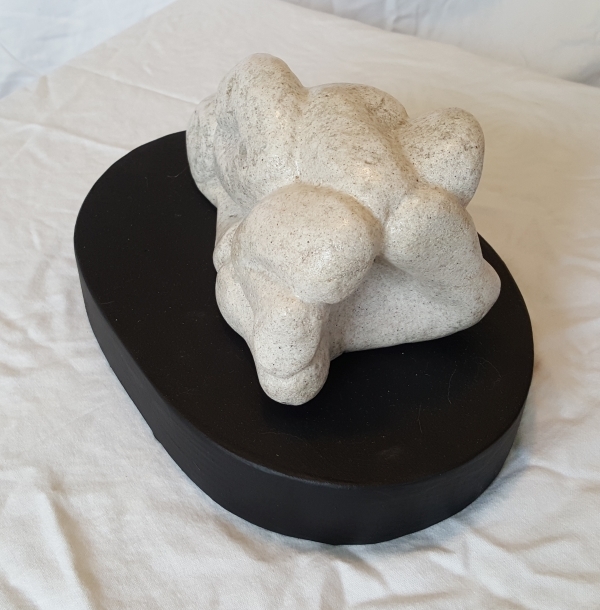 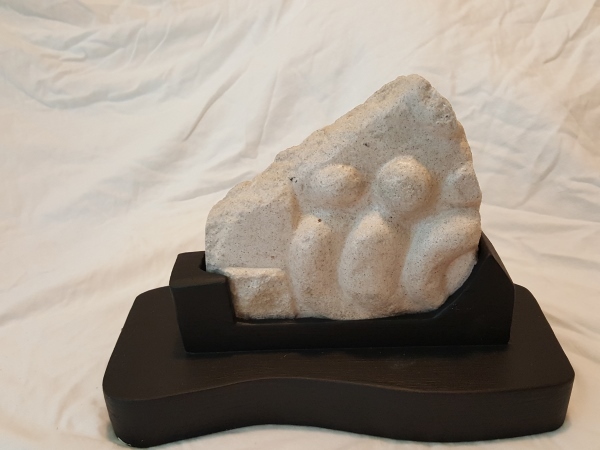 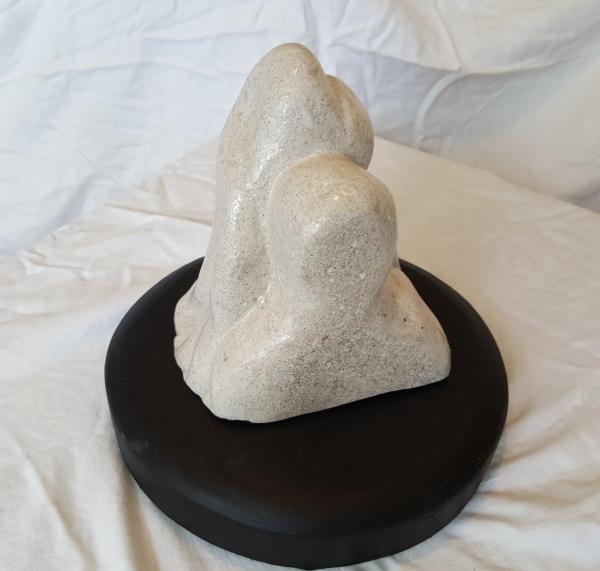 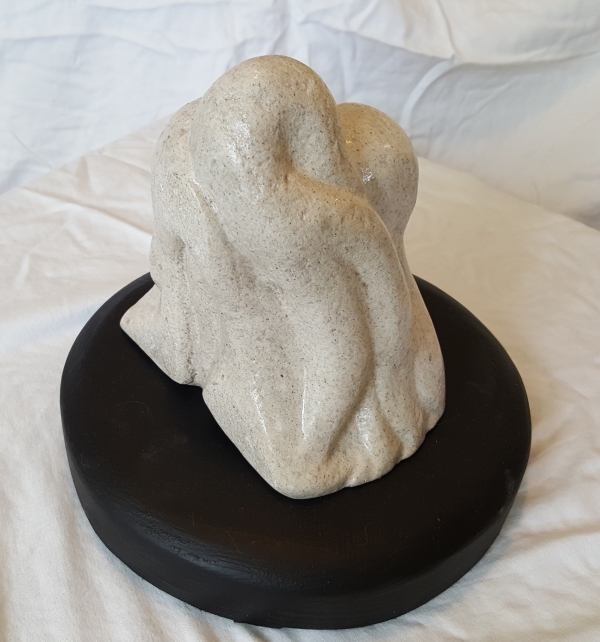 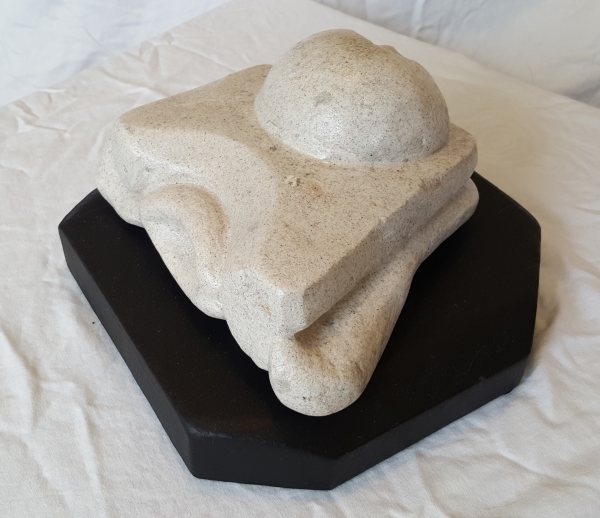 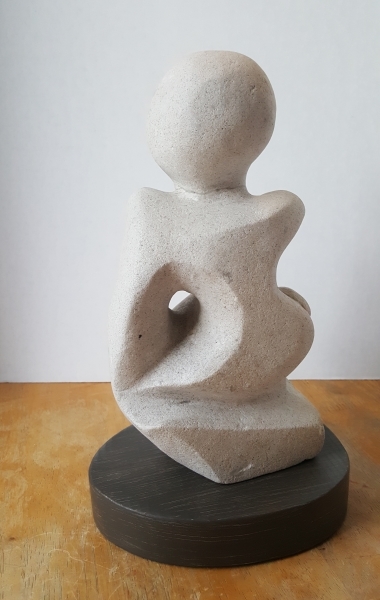 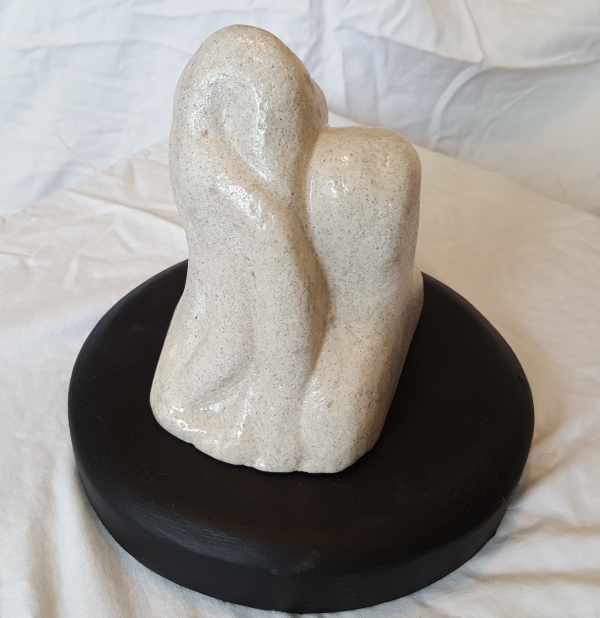 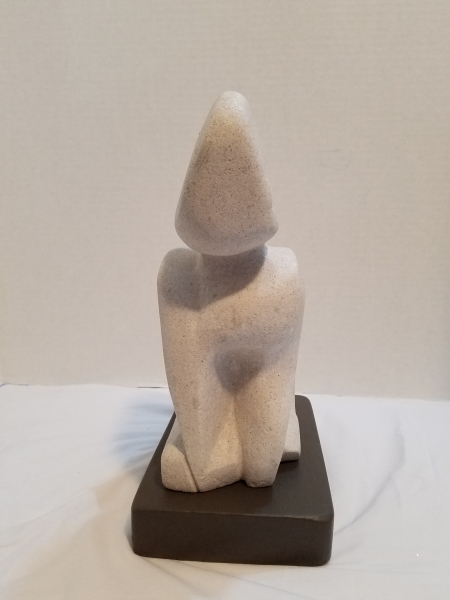 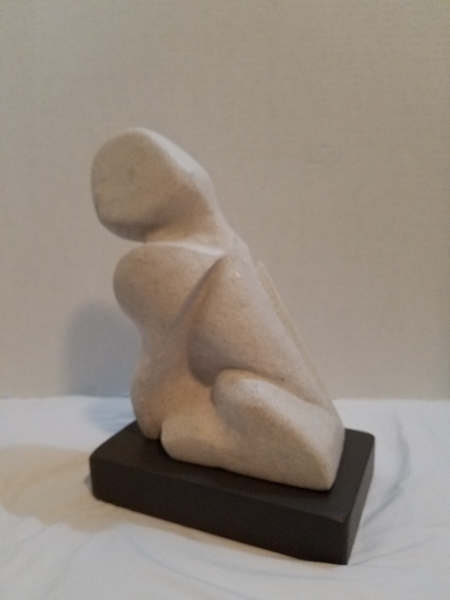 My sculptures tend to be abstract, often geometric shapes, that typically represent human form(s) in some manner. 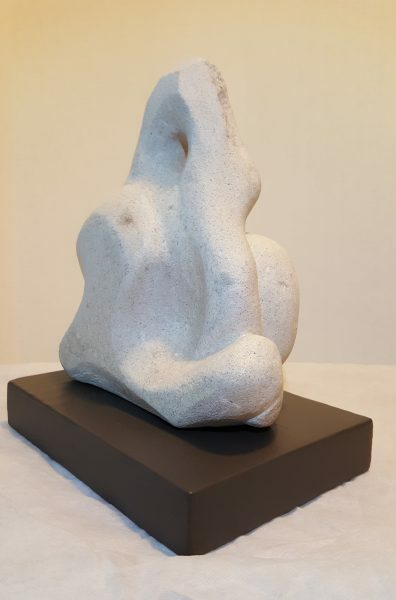 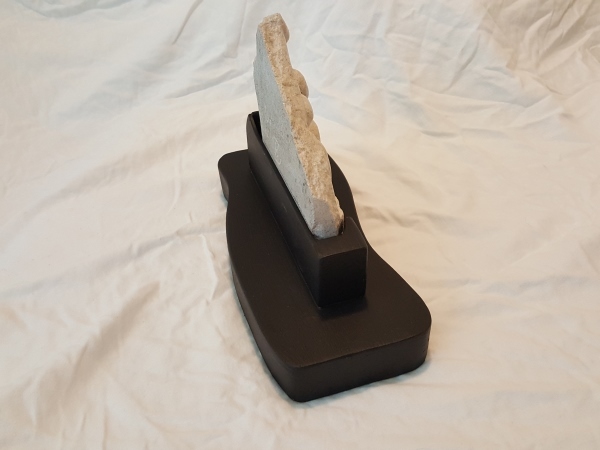 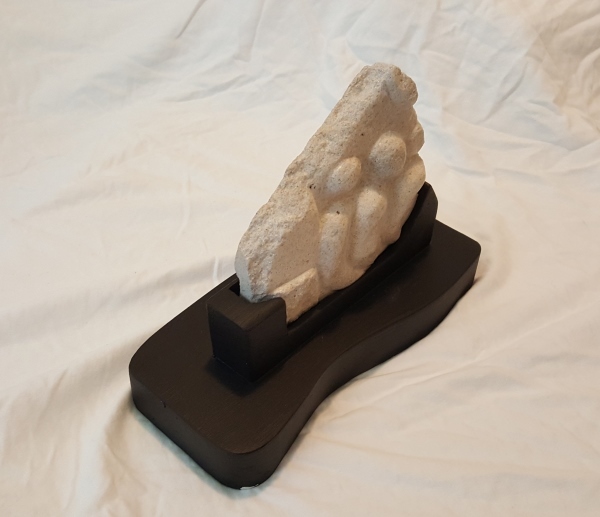 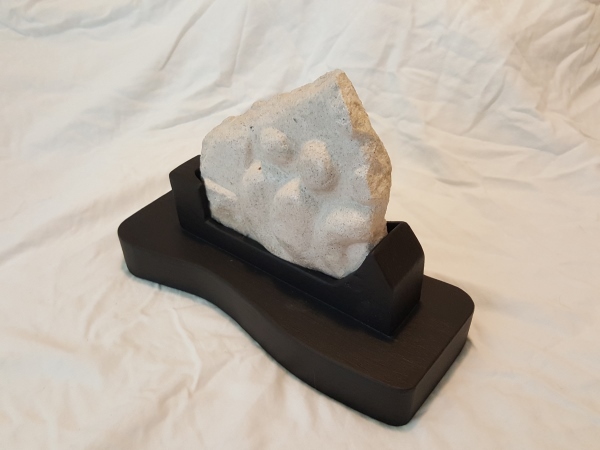 Because sculpture is a three-dimensional medium, my works are intended to be viewed from all directions. 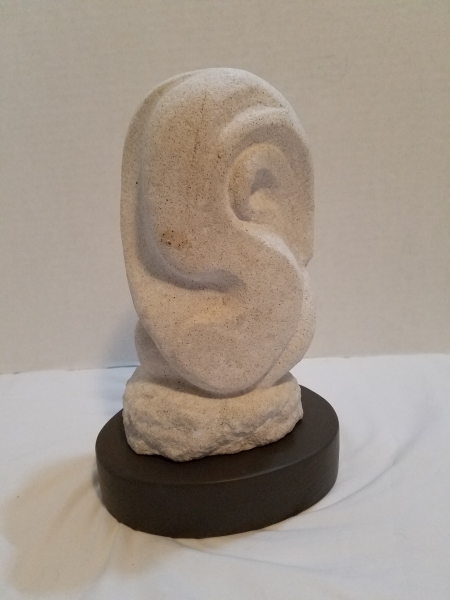 As you move around the piece, there are new discoveries and surprises. 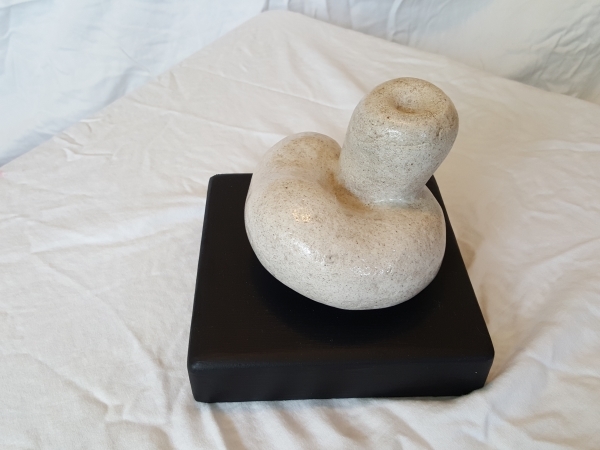 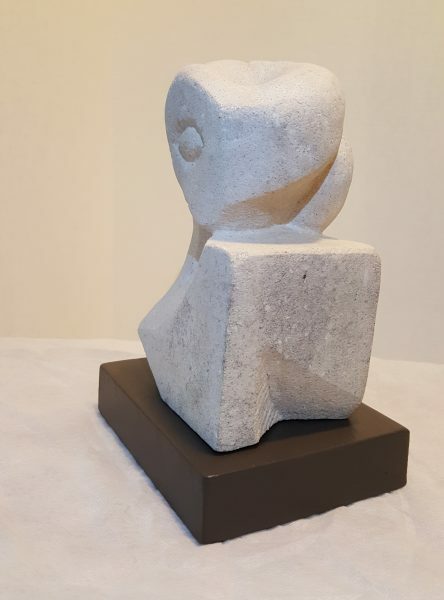 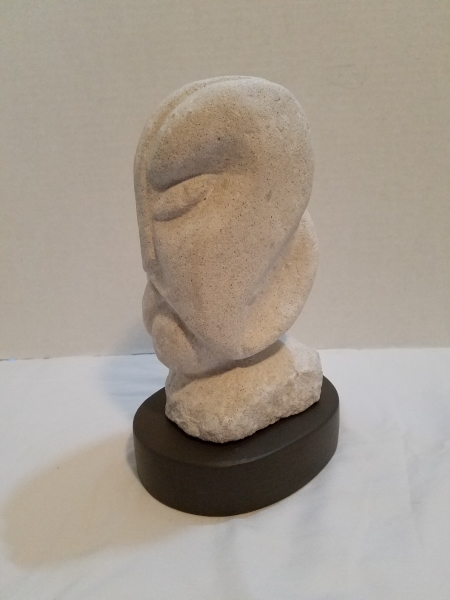 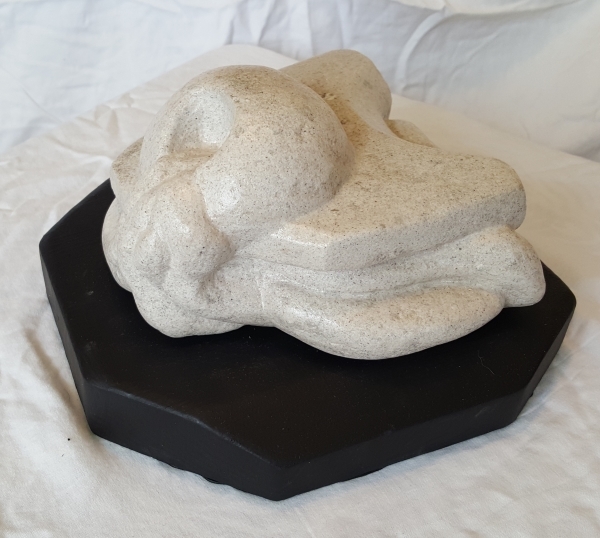 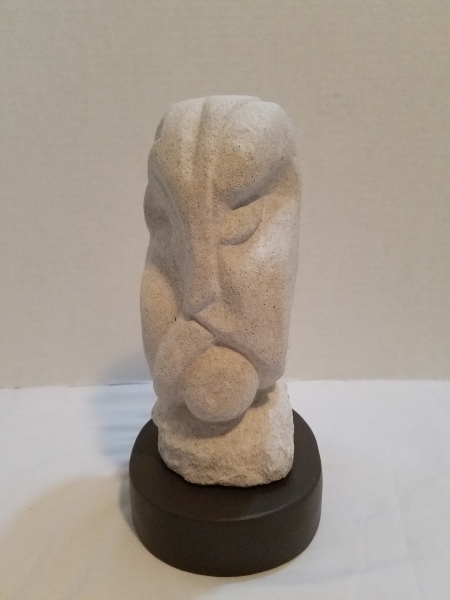 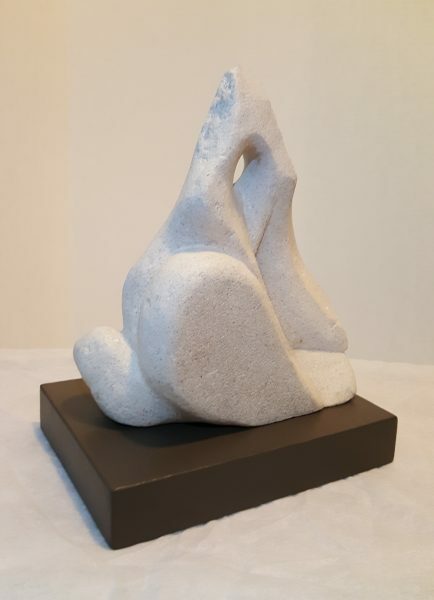 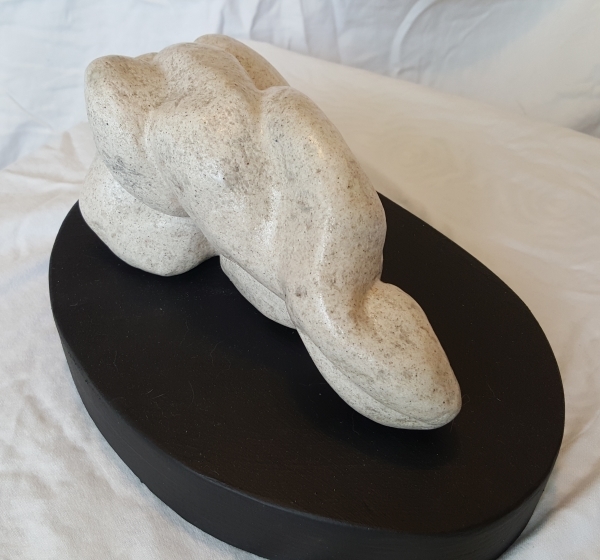 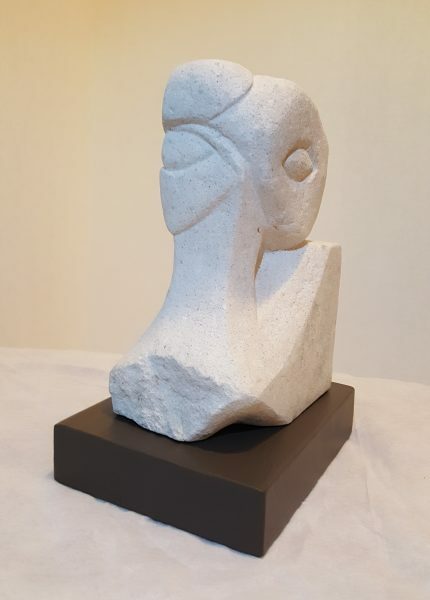 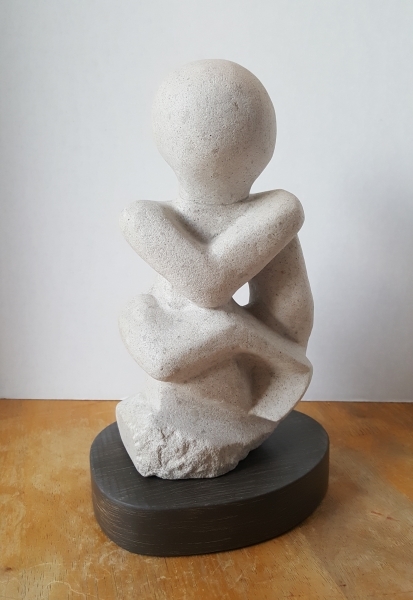 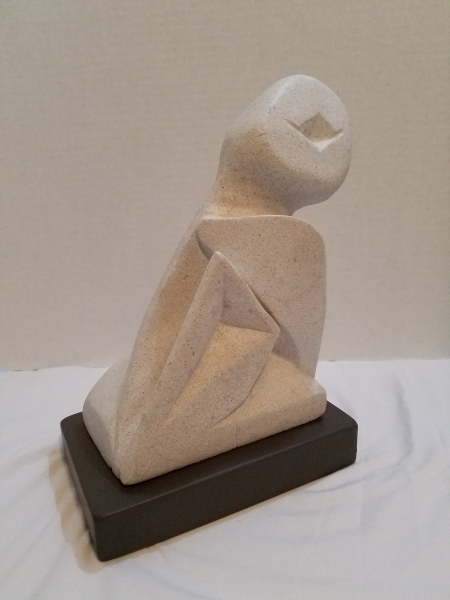 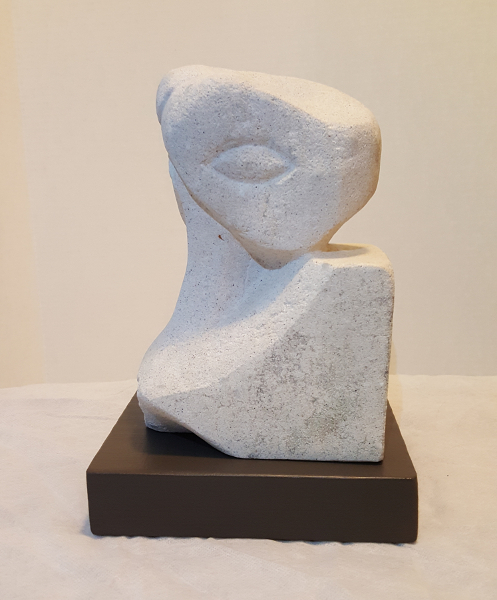 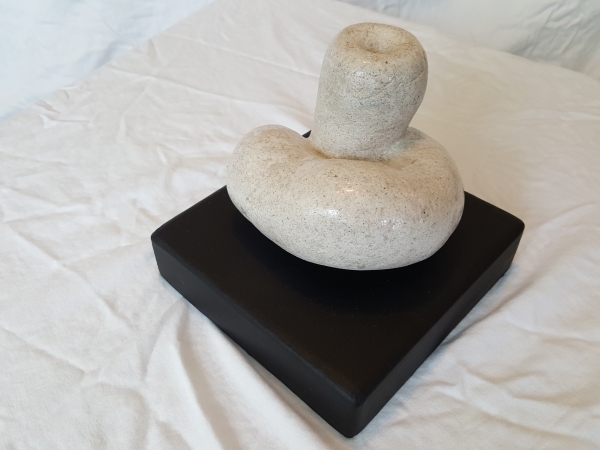 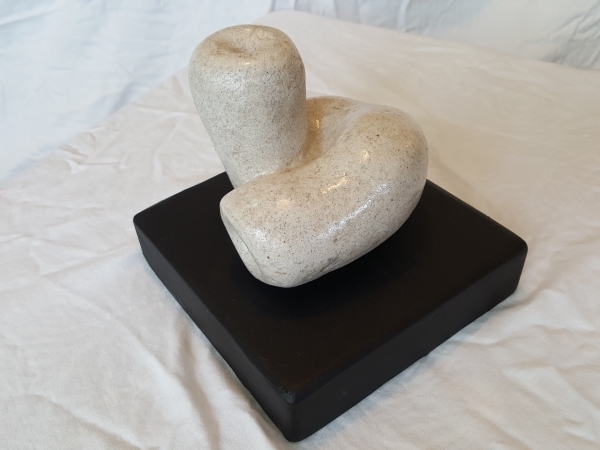 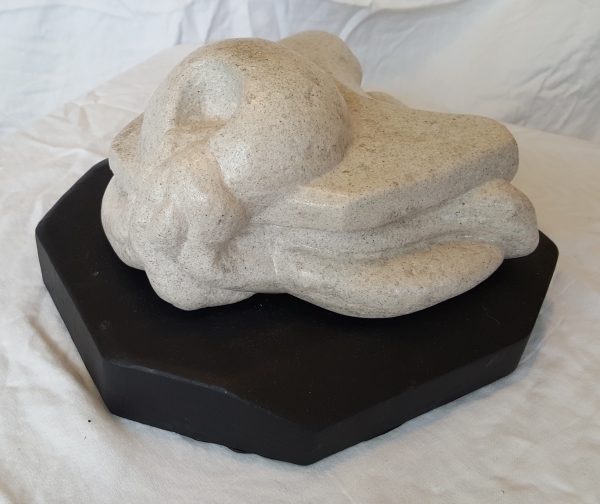 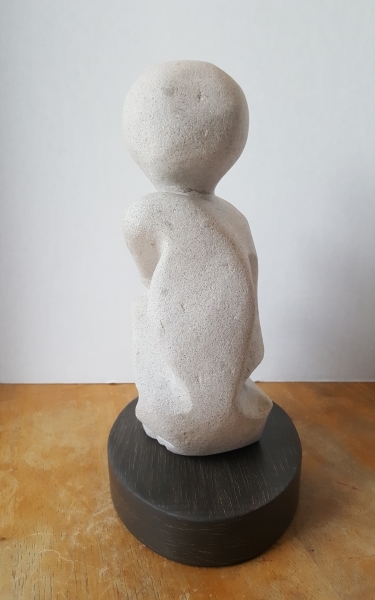 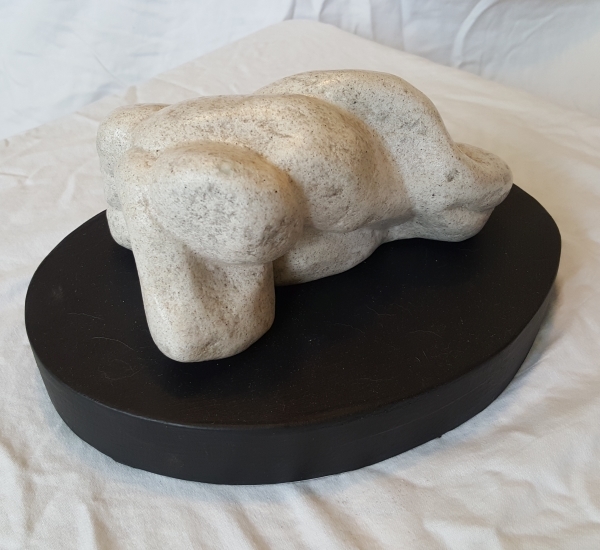 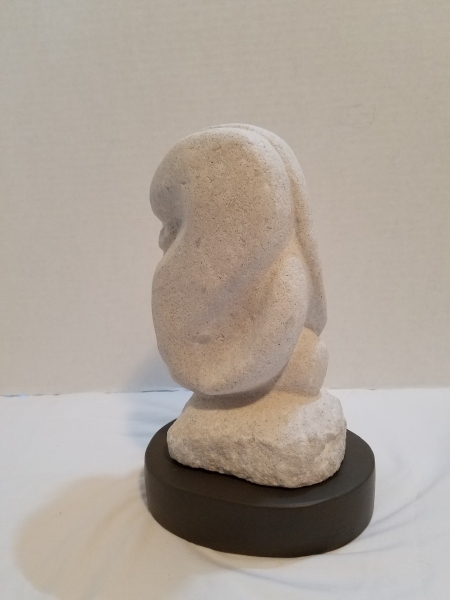 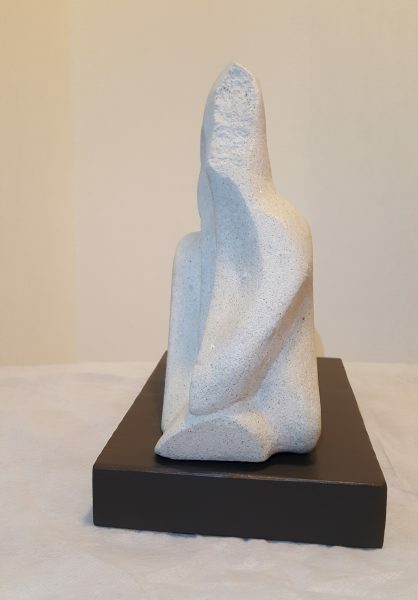 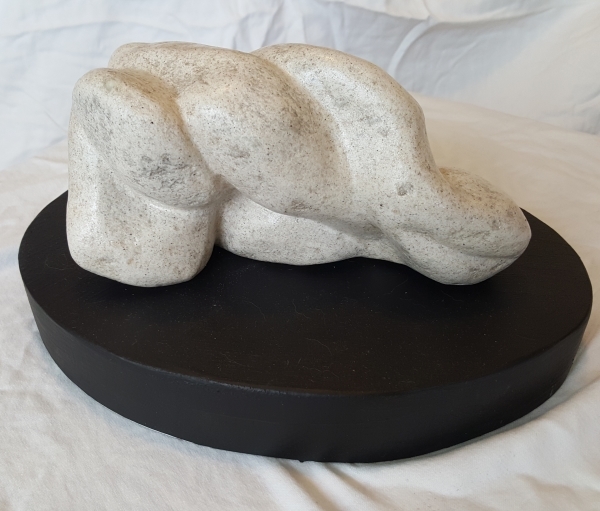 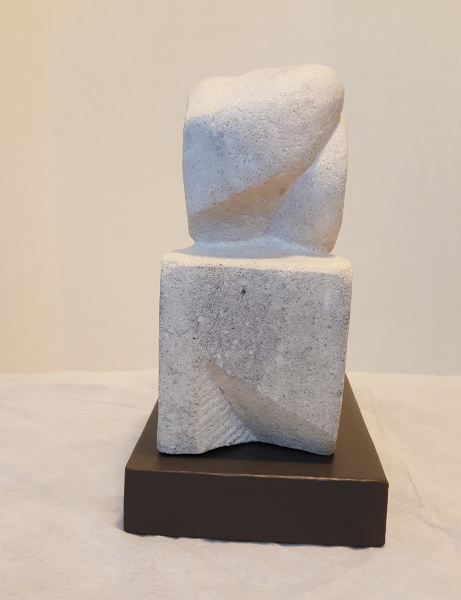 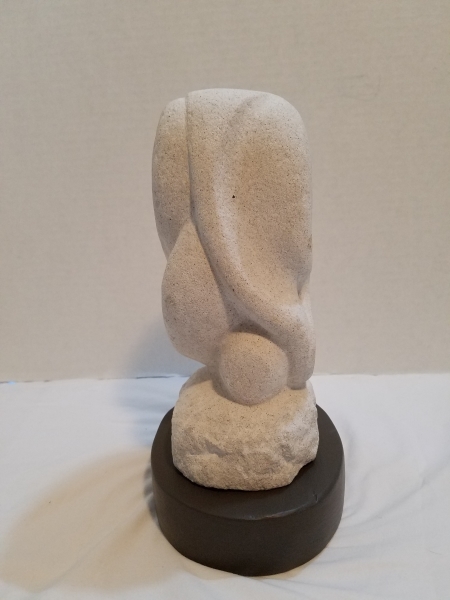 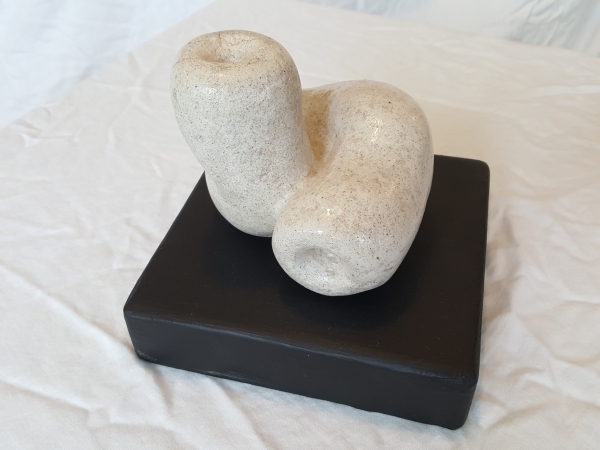 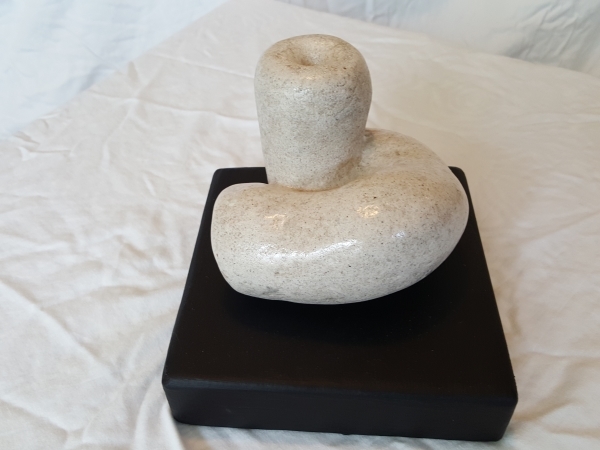 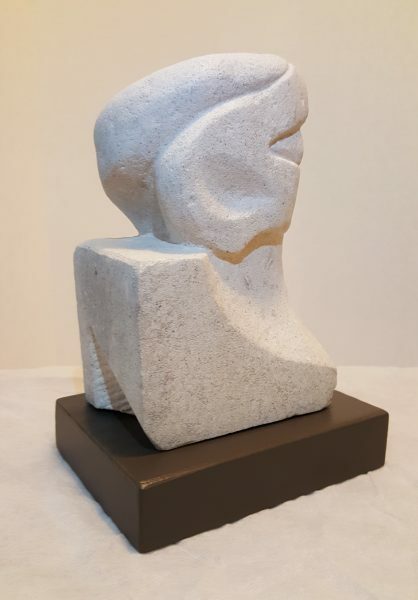 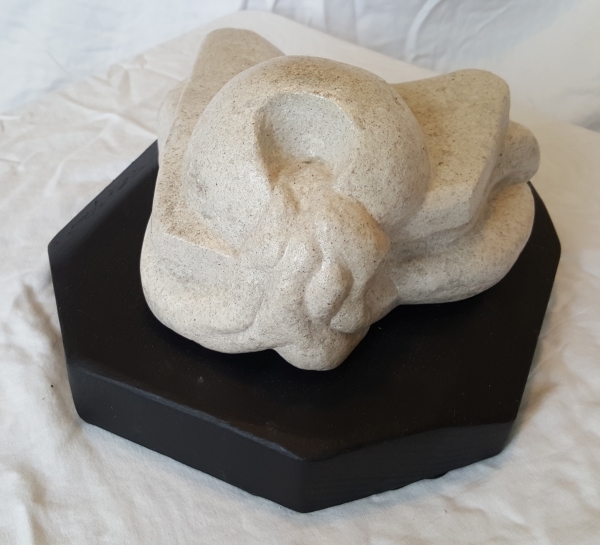 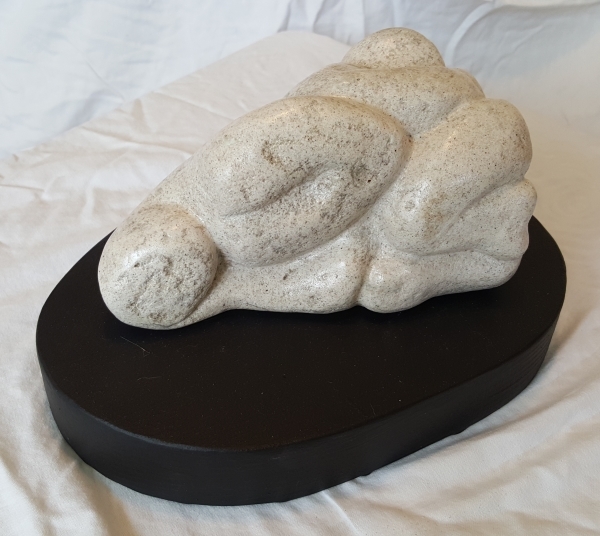 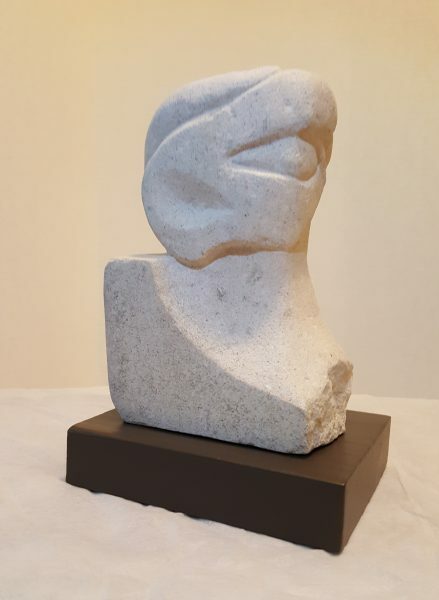 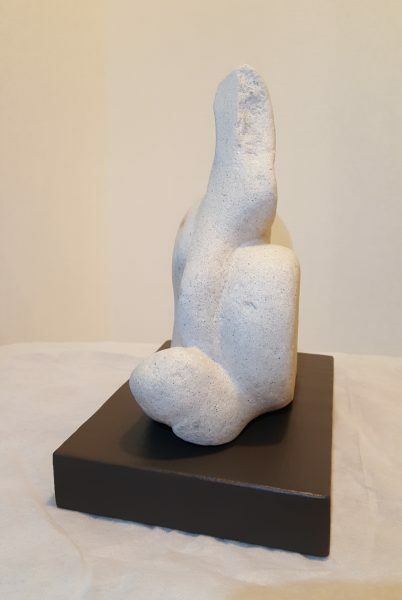 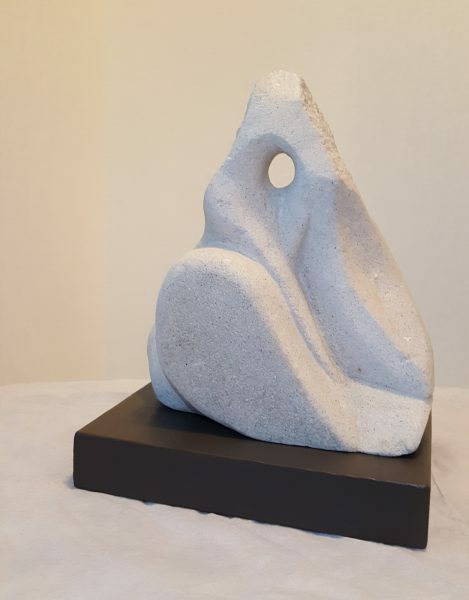 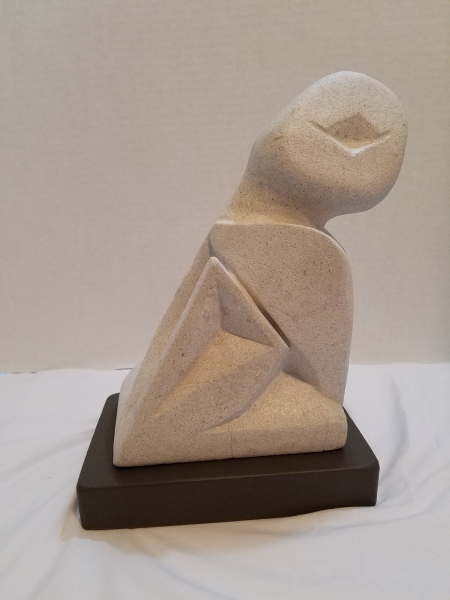 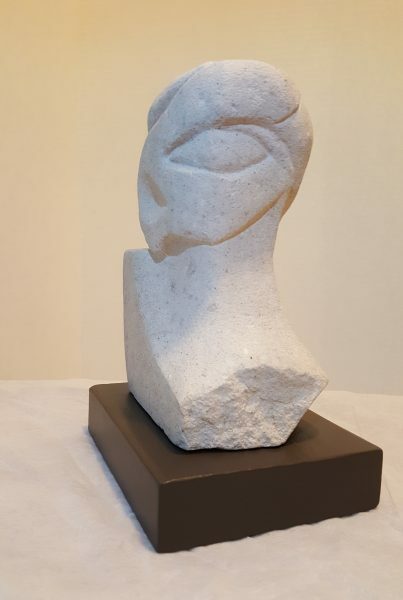 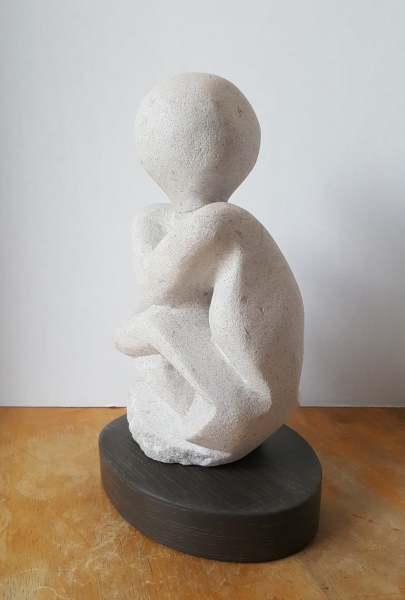 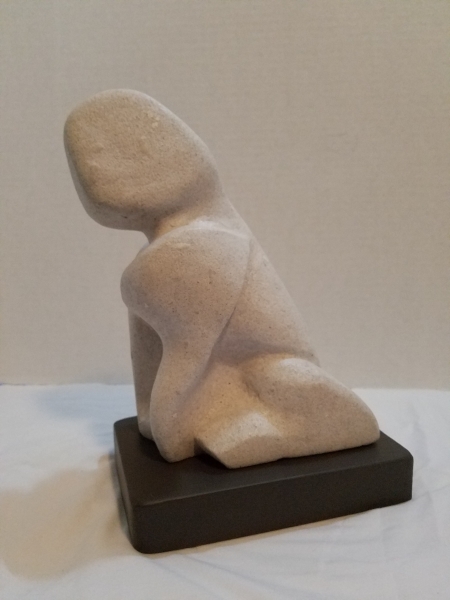 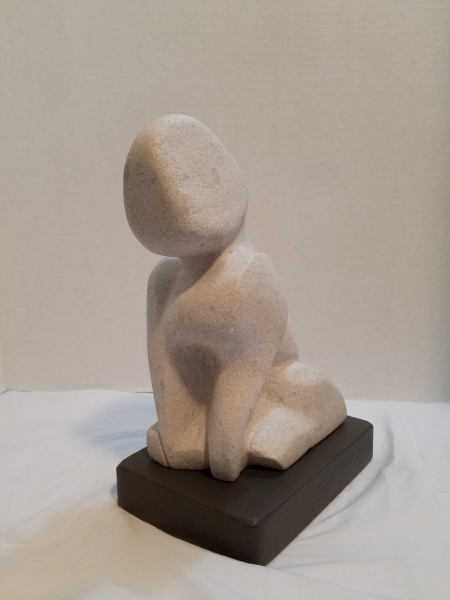 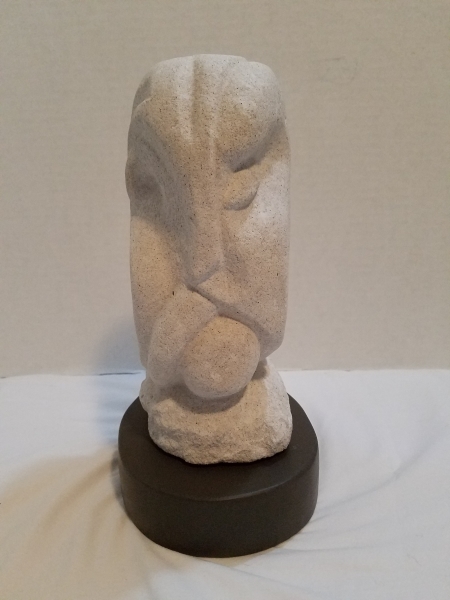 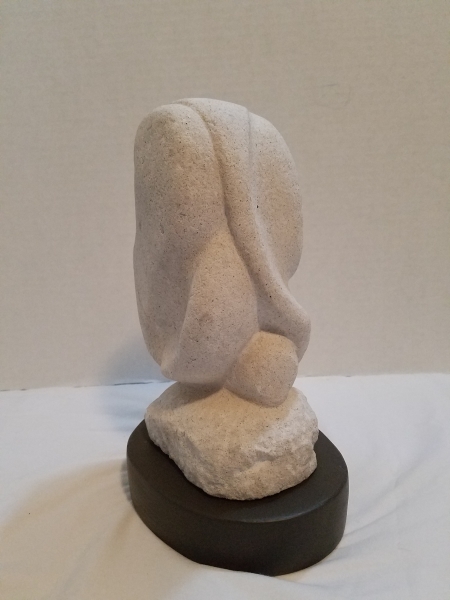 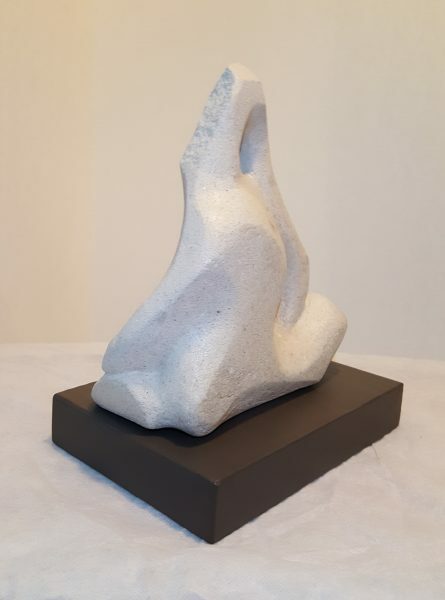 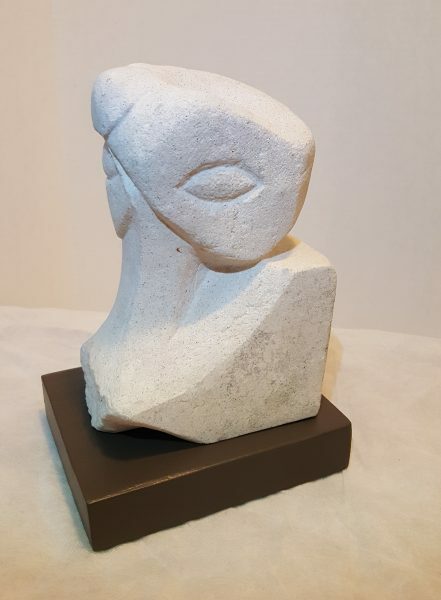 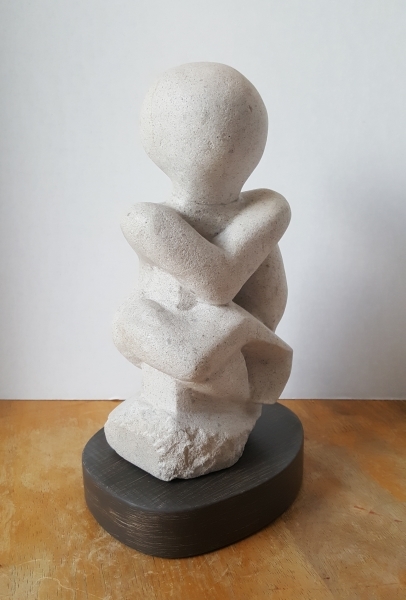 Most of my current work (below) has been in limestone. 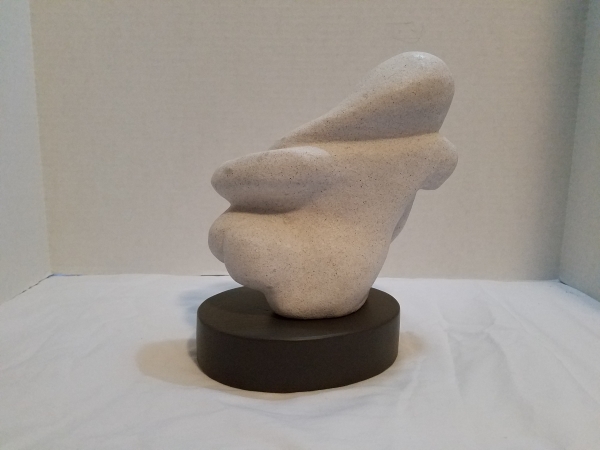 You can see some of my older works in steel, bronze, stone, wood, and plaster here. 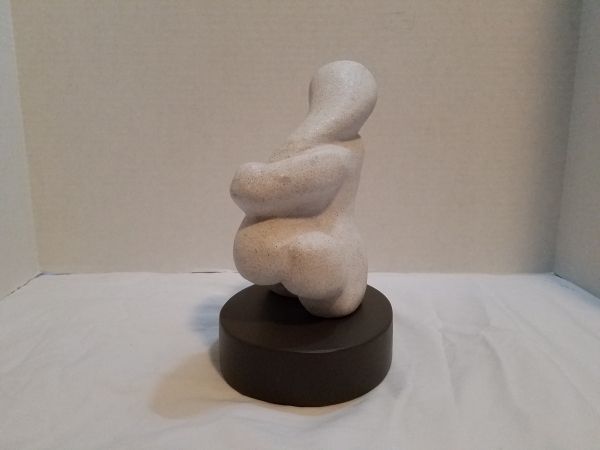 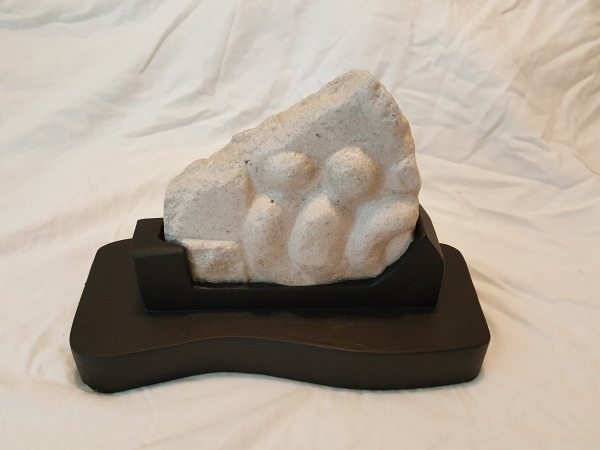 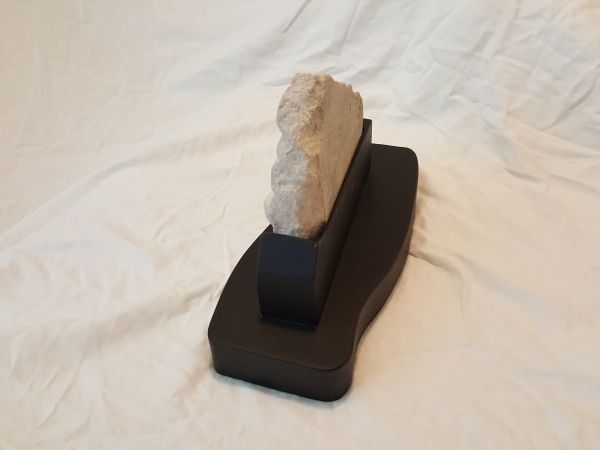 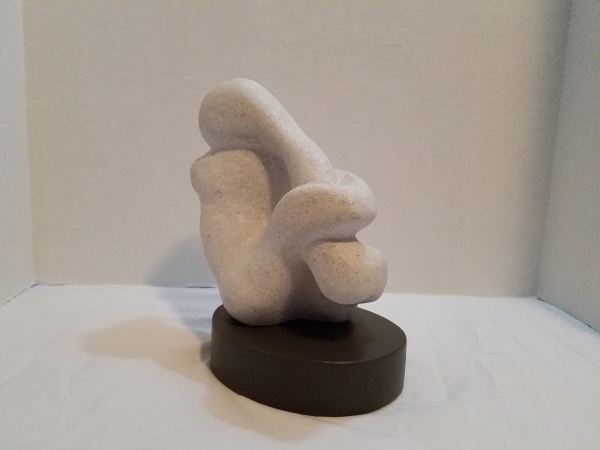 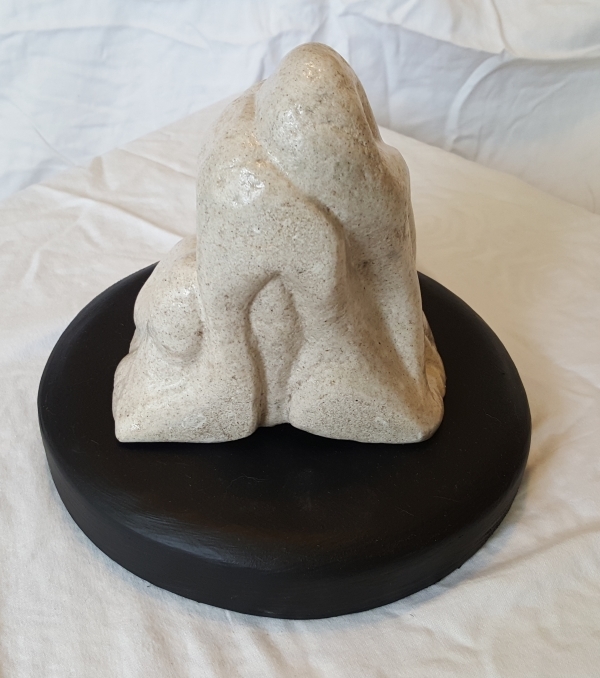 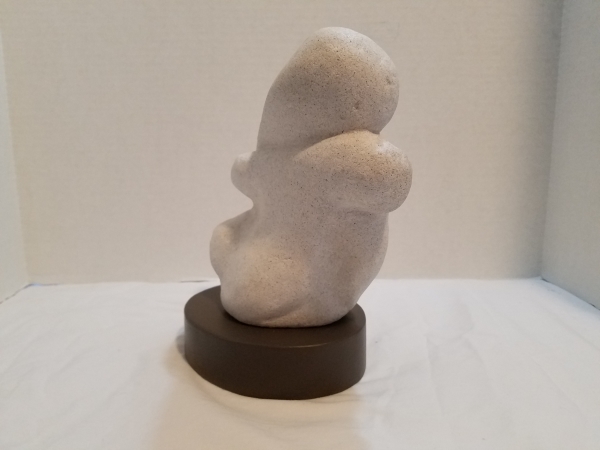 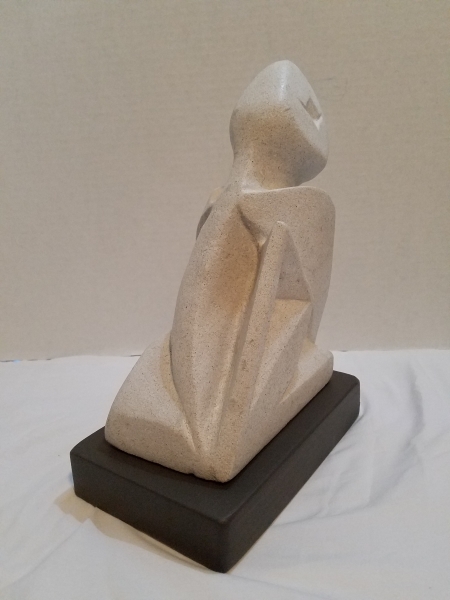 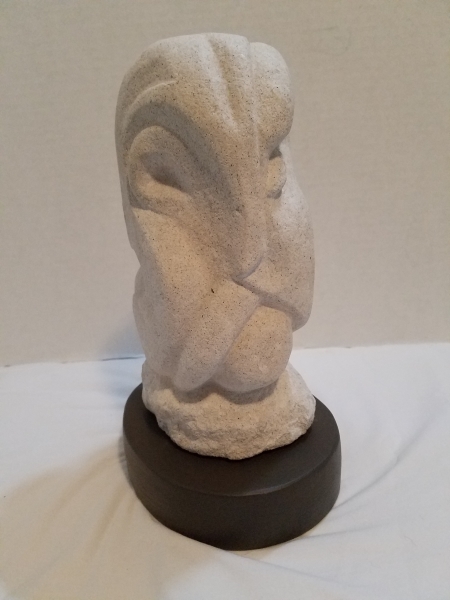 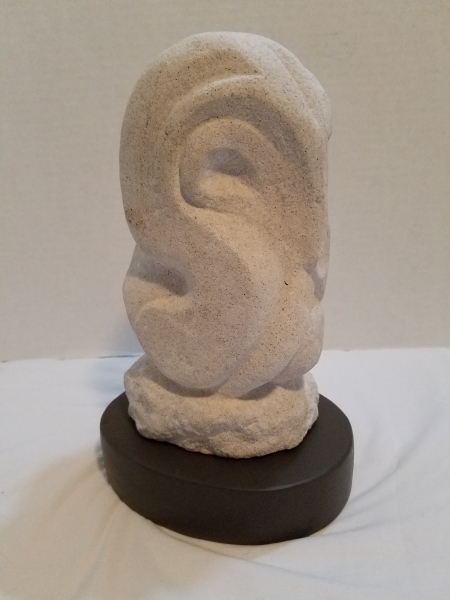 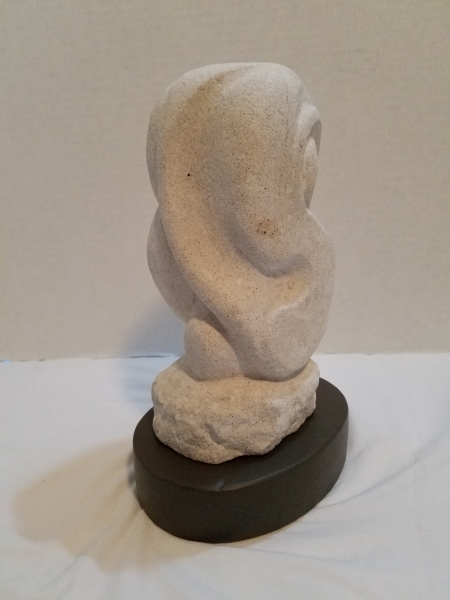 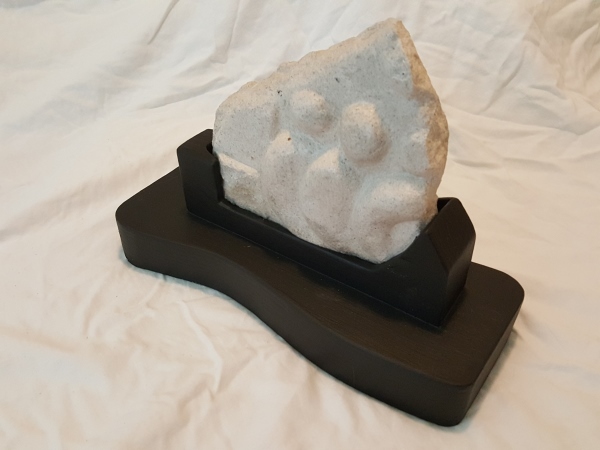 Limestone on painted wood base 8" x 6" x 6"
Limestone on painted wood base 10" x 6" x 10"
Limestone on painted wood base 13" x 8" x 6"
Limestone on painted wood base 10" x 6" x 6"
2016 Limestone on painted wood base 10" x 7" x 5.5"
2016 Limestone on painted wood base 11" x 9" x 6.5"
Limestone with clear-coating on Painted wood base, 11" x 7.25" x 5.5"
Limestone with clear-coating on Painted wood base, 9.5" x 10" x 6"